A pristine haven, this is one of the best beaches in South India. Beautiful water overlooking a panorama of coconut grooves, this beach is a drive away from Alleppey. A stunning church and a towering lighthouse adorn the beach. The best part of this beach is it still devoid of tourist crowd. This helps in keeping the beach clean. If you are looking for a place to enjoy a day out with family or just wish to sit on a calm sea beach, then this is your destination. How popular is Andhakaranazhi Beach? 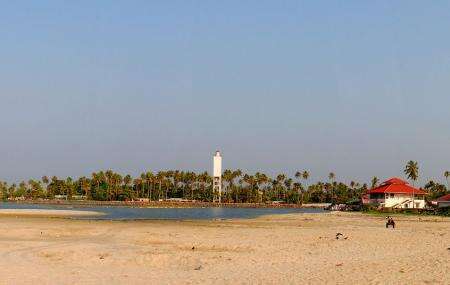 People normally club together St. Andrew's Basilica Arthunkal and Marari Beach while planning their visit to Andhakaranazhi Beach. One of the cleanest beaches iv even been to . The water is clear, calm. It's serene Ample parking space, washroom. Rows of eateries. Should not miss the sunset ..!! Nice place with small eateries around. The sunset is beautiful there. You can have a great time visiting here. Go with your loved ones to have great fun. The beach is more quiet ,less crowded ,and cleane. A good place to escape from the City rush and blend in the serene atmosphere.